I went back to Village Bagels in Stamford, but I totally forgot about that it's a weekend and all the rainbow bagels were gone by 2 PM. Among the availabilities, I got Egg Bagel and Plain Bagel one each. 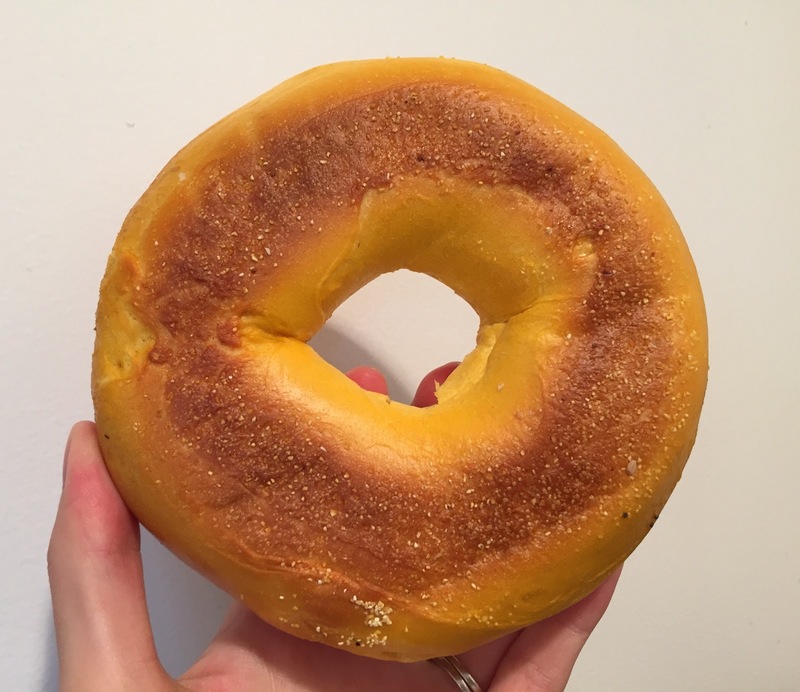 This is my first time ever to try egg bagel in my life, and first I thought it's a pumpkin bagel when I saw the orange-yellow color. Like always, their bagel is large and tall. The inside was bright yellow. 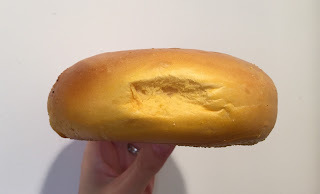 The surface was crispy and shinier than other bagels I thought, and also the inside of the bagel was as soft as pain de mie, a loaf of bread. 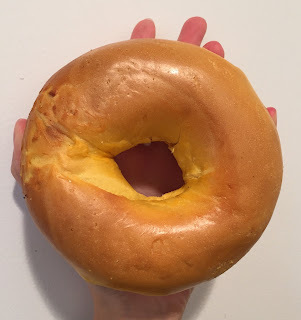 The bagel was soft and the chewiness was light, and I missed the chewy and not-so-soft classic bagel texture. I used Philadelphia Peach cream cheese. Other reviews of Village Bagels.